Rescuers racing to save a two-year-old boy who fell down a well in southern Spain have found several strands of his hair, authorities said Wednesday, raising hopes of finding the toddler whose fate has gripped the nation for days. 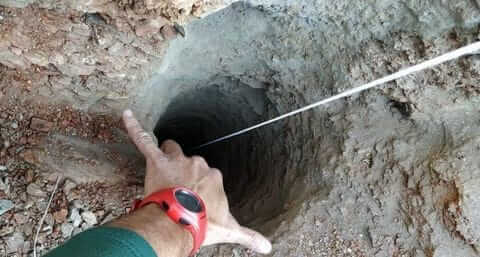 It is the first confirmation that Julen is down the 110-metre deep shaft after family members said he tumbled in on Sunday while playing as his parents had lunch nearby. 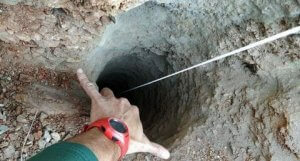 ‘We found a little hair (in the well) and the DNA tests carried out by the Civil Guard certify that they belong to the child,’ Alfonso Rodriguez Gomez, a government representative of the southwestern region of Andalusia, told news radio Cadena Ser. The boy’s father Jose said the discovery meant he and Julen’s mother could ‘see a little light’, adding that they felt ‘dead, but with hope for an angel to help us bring him back alive’. ‘There is hope he’s alive but it diminishes with each passing minute,’ said Miguel Angel Escano, the mayor of Totalan, the closest town to the well. The narrow well was bored a month earlier during water prospection works and was not covered or protected, according to local media reports.